One could make a convincing argument that country music can trace its roots to the Southern Civil War tunes, which in turn influenced the early revival songs of the Christian camp and tent meetings of the late nineteenth century. The spirit of this Deep South gospel music inspired the melodies of everyday folks, and the genre we now know as "Country Music" was born. Of course, country music, in time, would play a role in the birth of another closely related genre known as "Rock n' Roll." So what does this history lesson have to do with Sterling Fletcher? Just hang on to see how this CD unraveled. Walt Fletcher is a native of Alabama as a direct result of his great-grandfather relocating from the hills of east Tennessee to Birmingham. It's there where Walt grew up exploring the Appalachian foothills singing hymns and folk songs, eventually veering out into the world of Rock n' Roll. As a professional musician he was captivated by the passionate, richly textured voice of Aimee Graham. With their mutual love for music and adventure, they began touring the South, performing wherever they could. 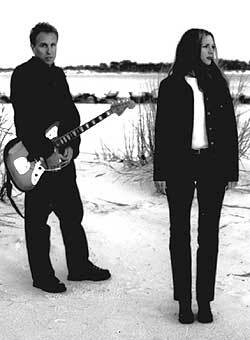 Marrying each other within the first year of their tour, the stage was set for Walt and Aimee to start collaborating on songs based on their recent experiences and spiritual journey. the Civil War, and "Uncle Am" Stuart, the fiddlin' champion who performed on one of the earliest country music recordings in June of 1924, began to emerge from the past. While en route from east Tennessee back to their home base in Florida, Walt and Aimee literally reached a fork in the road. One street sign pointed towards Nashville, and at the last possible moment, their vehicle seemed to have a mind of its own, making one last detour. 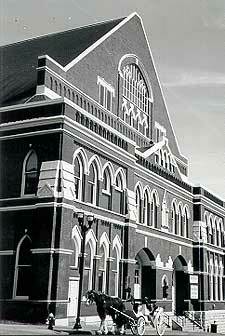 Upon arriving in the "Music City" they parked on Broadway just around the corner from the legendary Ryman Auditorium. Walt phoned another Birmingham native, singer-songwriter-producer Anthony Crawford, who had been in the Nashville area for quite some time. Anthony's credits and achievements are too numerous to list here, but it's worth mentioning that he is one of only a few Rock artists listed not only once, but several times in the Country Music Hall of Fame's Encyclopedia of Country Music. After hearing the revelations of the road trip and listening to Aimee's sterling voice, Anthony decided to play on and produce what would eventually become this CD. Meeting at the cozy Deep Field Studios, many songs began to come to life and were captured on tape. The following year or so, more trips were made to Nashville where this high energy, creative relationship continued to gel. Knowing that some of their ancestors had preached somewhere in the Nashville area, Sterling Fletcher was not aware of what they were about to discover next. 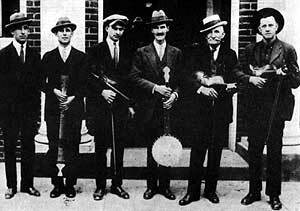 A look at old records showed that Walt's great-grandfather, George R. Stuart, the one who had relocated from east Tennessee to Birmingham in 1916, had held many revivals in Nashville in the 1890's and early 1900's with the legendary Sam P. Jones. It was at one of these early revivals that Captain Thomas Ryman was converted, and Ryman proceeded to help establish a building where Sam Jones and George Stuart would preach to thousands. According to an 1890's The Nashville American, "Rev. George R. Stuart the evangelist accompanies Mr. Jones in all his meetings." And pressed in an 1890's Nashville Banner, Sam Jones is quoted from a service in the Union Gospel Tabernacle: "George Stuart is the best preacher I ever heard, and he is a good man. If there is any town in the world that ought to hear him, that town is Nashville." It was during this service that, at Sam Jones' suggestion, the decision was made unanimously to change the name of the Tabernacle to the Ryman Auditorium, which was to become the home of The Grand Ole Opry! For decades America's real folk music has been performed on the same stage where some of America's greatest preachers spoke, another reminder of just where country music can trace its roots. Interestingly, the years that George Stuart was preaching to thousands, his brother, "Uncle Am" Stuart, was entertaining crowds with his fiddle. His fame as a master fiddler had been spreading throughout Tennessee and the South, winning numerous contests and respect with his musical ability. 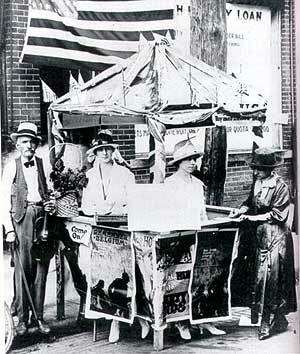 Uncle Am also toured with the Hill Billies, a group whose name is used to describe a genre of country music. As cited in "A Century of Country" by Robert K. Oermann, Uncle Am Stuart was a "star long before there was such a thing as commercial country music in the 1900's." Once recording did come into the big picture, Uncle Am was "one of the fiddlers who became country's pioneering recording artists." According to Dr. Charles Wolfe, through conversations and in his book "The Devil's Box," Uncle Am Stuart is the first Tennessean to commercially record country music, being signed by Vocalion Records. His music was advertised and broadcast as far west as San Francisco, and radio listeners from coast to coast voted him fiddle champion. The coveted Loving Cup award was presented to "Uncle Am" by Vice President Dawes in Washington, DC, where he also performed and was broadcast over the air. Only a couple of blocks away from the Ryman, Walt and Aimee discovered nine two-sided 78's of Uncle Am's recordings from 1924 in the Country Music Hall of Fame. The two brothers, George R. Stuart and Uncle Am Stuart, though on different sides of the coin, ultimately had a huge effect on the roots of what Nashville would become. And little did Walt and Aimee (Sterling Fletcher) know, when they made the one last detour, that they were about to come Full Circle, linking three centuries of the Gospel, music, Nashville, records, and family together.